Encounters with the Music of the Plants are showing that plants can pass to the human world their knowledge, healing and experience. Plant music has been shown to have a wide-range of benefits in humans, including but not limited to: accelerated healing in rehabilitation clinics, enhancing the work of holistic health practitioners, improved blood circulation and less coagulation, and positive results to both medical and emotional recovery. Today, there is not yet enough documented research as to the effects of plant music on human health or opportunities for public interspecies art and performance. Anecdotal evidence and small research projects show incredible promise, and for this reason it is vitally important that we encourage and fund this research, bringing together researchers, doctors, healers, musicians, etc. to compare notes and devise programs. To encourage additional collaboration, there is a Facebook Group called the “Effects of Plant Music on Human Health and Interspecies Art” open to anyone interested. If you are interested in the area of research, please join and share your experiences! Research: How plants can teach us how to heal, awaken, grow and live in harmony using plant music and essences. Research: Re-connection with Nature and Sound Healing with plant music. Research: PT, MSPT, DPT, CPT, MBA, Energy Medicine Practitioner looking to study the effects of plant music with cancer patients. Research: Explore opportunities that are educational and interactive to better understand the plant realm, regardless of their utility to humans. Research: How children and musicians interact with plants through music. Research: Seeks to reveal life force and make it alchemically available through sound. Research: Listening to the special nature of the mystic realms in New Zealand and the South Pacific. Research: Interspecies music is born in the dawn of a new era. Research: More sustainable farming by adding intuitive capacities to cognitive decision-making taking into consideration the needs of the plant world, animals and humans. Research: Protecting Ireland’s biodiversity and educating grown-ups and children about wild medicinal plants in a fun, exciting, and innovative way. Research: How plant music can aid in healing in physical therapy and holistic therapy sessions. Research: Scientific study on the ability of plants to create melodies that produce healing components, such as protein chains. Collaborating with Genodics and other scientists. Research: Scientifically showing that plant music detoxes the body and strengthens the immune System by working directly on the blood system. Research: Using plant music in meditation and healing essences to help establish a spiritual connection with nature and the plant world. Research: Musician and Astrologer creating music with plants and the stars. Research: Using the Music of the Plants device to teach plants how to use words to make sentences in the hopes of gaining a better understanding of their kingdom. Research: Developing the “Internal Garden”, which facilitates the vibration from plant music into the spine of a human. 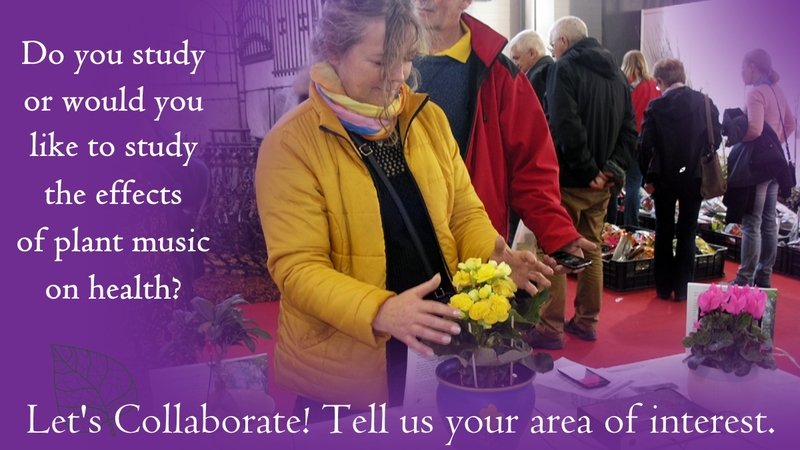 We hope to create a database of projects and researchers that can be used by professionals in all areas of plant music research. If you’d like to learn more about bringing your Dream Interspecies or Plant Music project to the world, let’s chat. Tigrilla Gardenia is available for keynotes and conferences, workshops and interviews. For booking information, contact her.